The Scharf story is one of two Citizen pieces to which I will refer in taking a look at the residency allowance issue that has surrounded the Senate for the past month. The other is an May 15 opinion piece by Ian Lee entitled Residency requirements put senators in an impossible position. Lee is a Sprott School of Business professor at Carleton University in Ottawa and a former banker trained in fiduciary responsibilities. Both pieces can be found by going to www.ottawacitizen.com, then doing a site search with, respectively, the words “McGregor Scharf” and “Lee residency”. First, to Scharf: She generally keeps out of the public eye but I have written about her occasionally. The theme of that writing has been twofold — her long experience as a Liberal and, later, Conservative support staffer and her frequently mentoring of younger Christian staffers in the task of relating their faith to their Parliament Hill work. Scharf did a six-month stint as administrative assistant to Senator Mike Duffy from September, 2011 to March 2012, while his regular staffer was on maternity leave. She provided McGregor her perspective on that experience. (Scharf) says she had trouble keeping track of Duffy’s whereabouts because he travelled often. Scharf contends that Duffy, who resigned from Conservative caucus, is being unfairly blamed for what could be clerical mistakes on her part or others in his office. Duffy was the hardest working politician she had served with on the Hill and was even working while he was in Florida in 2012 — a period for which Duffy has admitted he claimed $85 per diems [allegedly] in error. Scharf said the Senate finance officials seemed disorganized and would often reject claims they had filed. While practicing what might be described as good servant hood, Scharf has been around long enough not to be blindly partisan. McGregor notes that she worked, early in her career, in Pierre Elliott Trudeau’s prime ministerial office. Until 2006, when the Conservatives formed government, she was a staffer in Liberal MP offices. More recently, as she gradually wends her way toward retirement, she has been doing stints setting up the offices of newly appointed senators, including Denise Batters and Betty Unger. And, in her spare time, she volunteers administrative work to the new Ottawa Theological College being set up by the network Anglicans. McGregor apparently did not question Scharf about the issue of Duffy’s claiming housing allowances in both Prince Edward Island — which he represents in the Senate — and Ottawa. But Ian Lee’s opinion piece deals with the general issue pretty thoroughly. There are currently two issues at play in this debate over housing allowances. First … who meets the criteria for a Senate appointment and secondly, how senators should be compensated for maintaining two residences. To address these issues, we must review the original foundational rules in the Constitution that govern the appointment of senators. Lee offers substantive constitutional, legal and fiduciary details to bolster his arguments. He even gets in a light reference to “medieval theologians”, used as a means to maintain that the present residency rules are both arcane and confusing. The Senate rules should be reformed to recognize the reality that senators must maintain two residences — one in Ottawa and one in the province from which they were appointed (excluding those appointed from Ontario or Quebec who were previously domiciled in the National Capital Region). Beyond the remarkable invasiveness that no pundit would support if applied to ordinary Canadians, this rule ignores the physical location of the House of Commons and Senate. Restated, neither the House of Commons nor Senate allow virtual voting or proxy voting. This means that an MP or senator must be in Ottawa to vote. And to be in Ottawa to vote, MPs and senators must live somewhere nearby. In the vernacular, the senator must have a residence. Actually, the senator must have two residences due to the constitutional requirements. 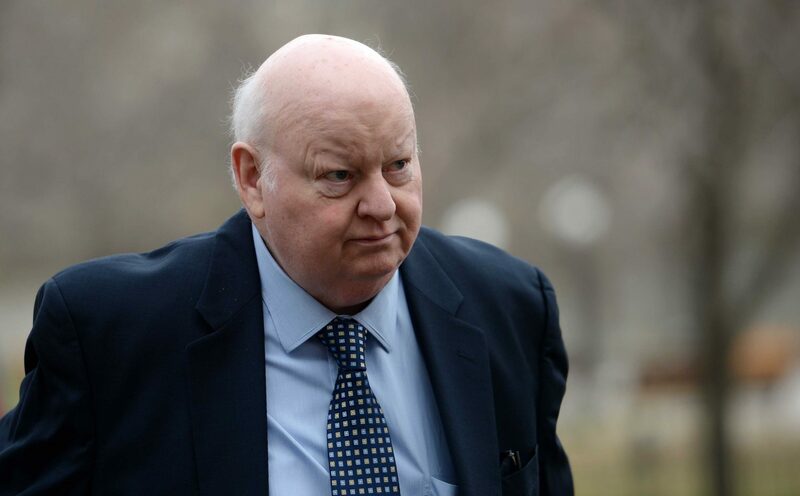 The Senate should return the $91,000 that Duffy paid out on the rather wobbly basis that he might have done something wrong. The Senate board of internal economy do all that it can to help Duffy — and any other senators from provinces other than Ontario or Quebec who might be affected — to fix up their paperwork so perception matches reality. Duffy must obviously return that $91,000 that Nigel Wright, the prime minister’s former chief-of-staff paid him out of his own pocket. Since Wright already had plans to return to the corporate sector, it might be pointless to restore him to the chief-of-staff post. But all must be done to ensure that the public understands that Wright acted in good faith and with a generosity that took him well beyond the call of duty. Understand: These are my own opinions, advanced without prejudice. I am prepared to suggest that I might not have all the facts. But those that I have, including what relates to a Christian way of doing things, encourage me to say that these relatively small injustices need righting before we get onto the question of real Senate reform.